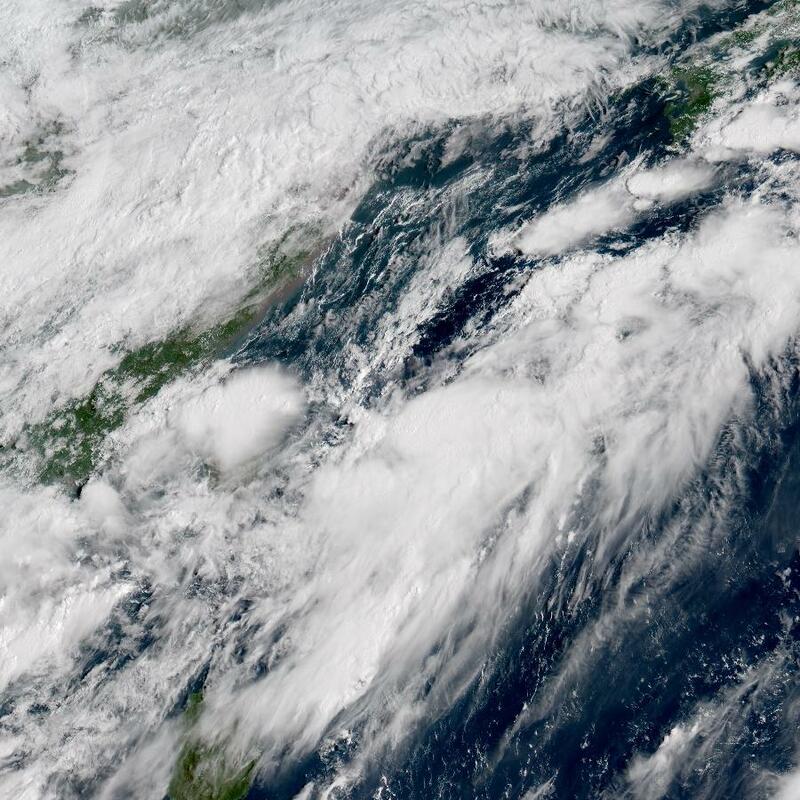 Nothing from JTWC or JMA yet. Last edited by Extratropical94 on Tue Sep 06, 2016 5:37 am, edited 1 time in total. 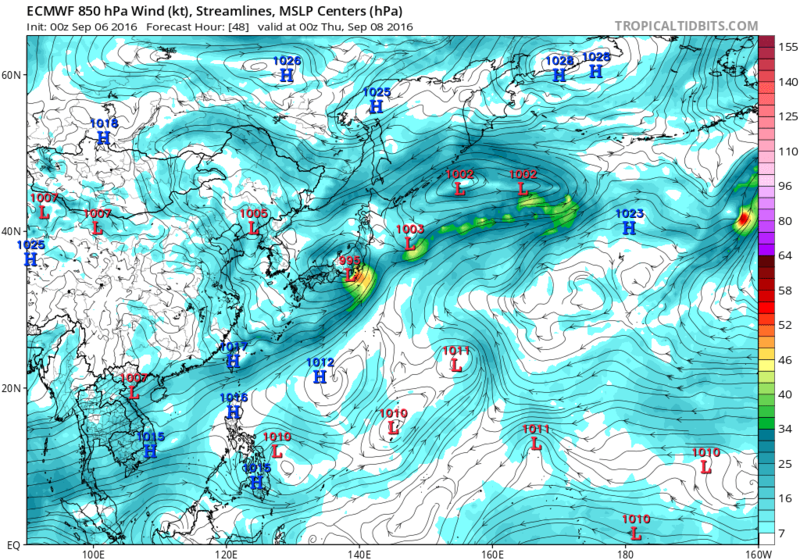 DAYS AS THE DISTURBANCE TRACKS NORTHEASTWARD TOWARDS MAINLAND JAPAN. NEXT 24 HOURS IS UPGRADED TO MEDIUM. 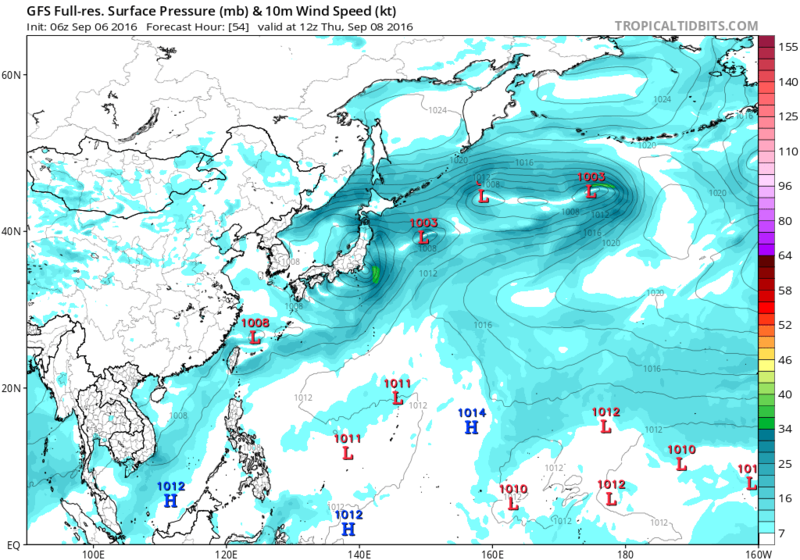 It could approach typhoon strength, especially if it pulls off some crazy stuff like Namtheun. Well, this got named way faster than I expected. 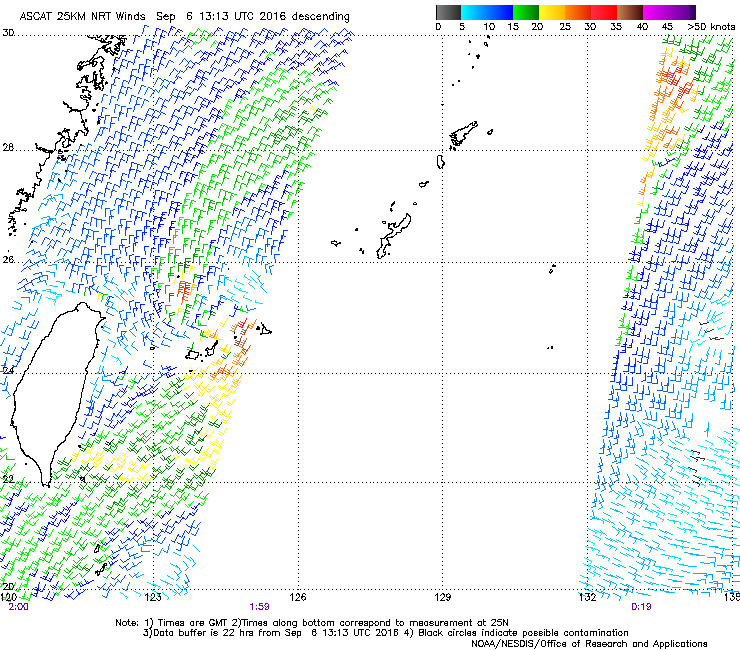 SUBTROPICAL WESTERLIES, WHICH IS HINDERING CONVECTIVE DEVELOPMENT. CONVECTION WRAPPING IN TO THE LLCC. PT AND MET ARE UNAVAILABLE. PROXIMITY LESS THAN 1.24 DG FROM CONVECTION, SMALL SIZE. PT=1.0. MET=1.0. FT IS BASED ON DT. YIELDS A DT OF 1.0. MET AND PT AGREE. DBO DT. 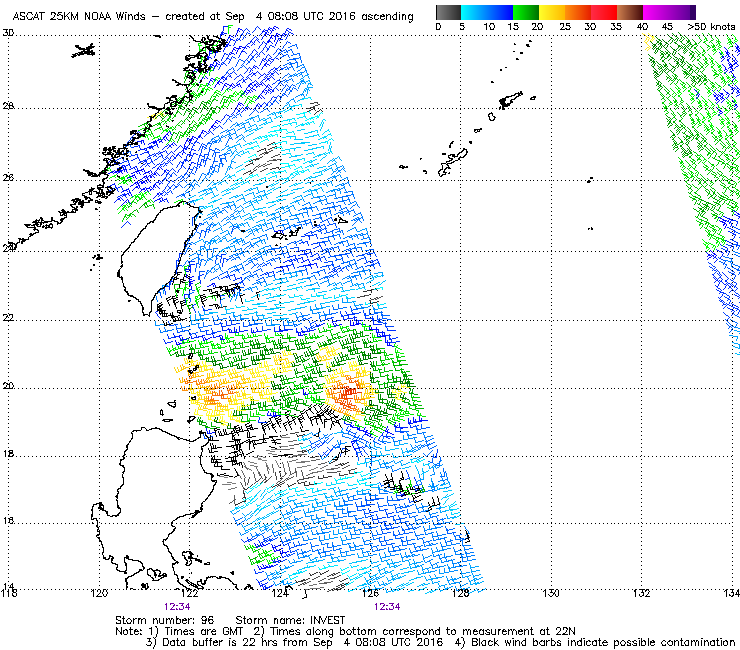 TROPICAL CYCLONE WITHIN THE NEXT 24 HOURS REMAINS HIGH. CONVECTION. THIS IS THE LAST BULLETIN UNLESS SYSTEM INTENSIFIES. Last edited by euro6208 on Tue Sep 06, 2016 6:50 am, edited 1 time in total. 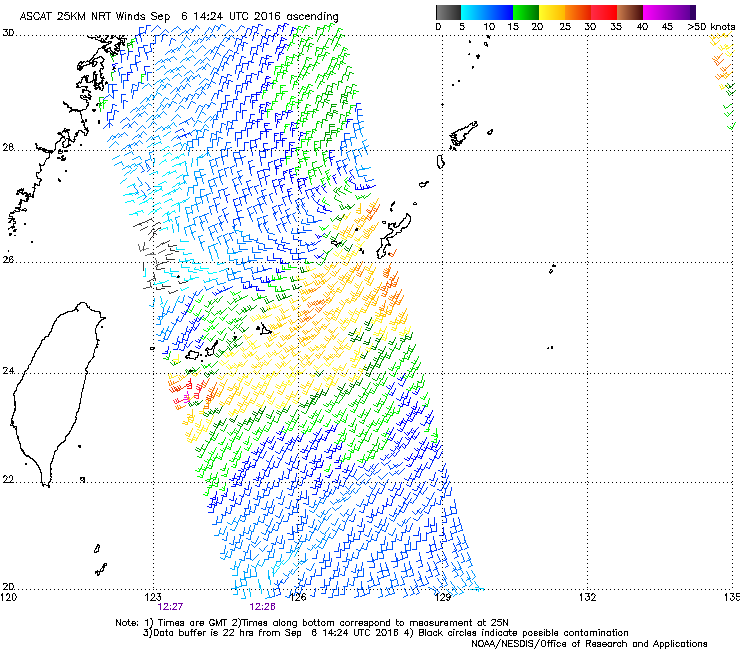 ASCAT from about 12 hours ago hasn't exactly sold me that this is worthy of being named. Maybe the upcoming passes will look better? Not a direct hit, but for the time being, I'm heavily leaning towards the "this has no business being classified" camp. AND MET ARE UNAVAILABLE. DBO DT.